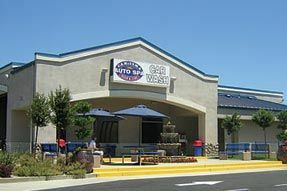 Car-izma Auto Spa proudly provides car wash, detailing, oil & lube and smog check services to communities near the El Dorado County Highway 50 corridor including Cameron Park, Shingle Springs, El Dorado Hills, Rescue, Folsom. El Dorado, Latrobe, Diamond Springs and Placerville. We're a friendly stop for those traveling to Red Hawk, Apple Hill, Lake Tahoe, Sacramento and the Bay Area. Car-izma Auto Spa is located at 4107 Cameron Park Drive in Cameron Park California. To get to Car-izma Auto Spa take Highway 50 to Cameron Park and exit at the Cameron Park Drive exit. Head southbound on Cameron Park Drive one block and you'll find Car-izma on the left hand side between Sizzler and Ace Hardware. Call us at 530 676 5289. Website by Dave Dodds Web Development.